My bro and his bro­hams, the Rhythm Natives, went to vis­it the Bay Area this past week­end. They were part of Bam­bu’s Smug­glers Tour in SF. I had the oppor­tu­ni­ty in tak­ing some pho­tos from both their shows: Fri­day, May 20th at 111 Min­na Gallery; and Sat­ur­day, May 21st at Rock­it Room. 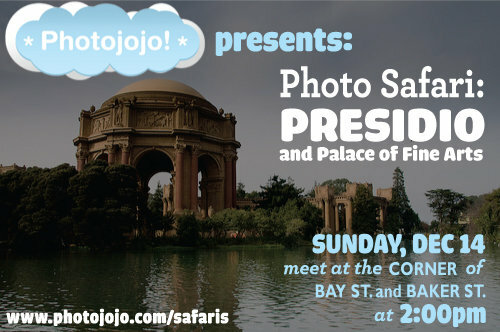 The last Pho­to­jo­jo Safari SF will be held this upcom­ing Sun­day, Decem­ber 14th. It will be an explo­ration at the Pre­sidio and Palace of Fine Arts. The meet up will be at the cor­ner of Bay St. and Bak­er St. at 2:00pm. You may RSVP here. More info about Pho­to­jo­jo Safaris here at http://photojojo.com/safaris/.